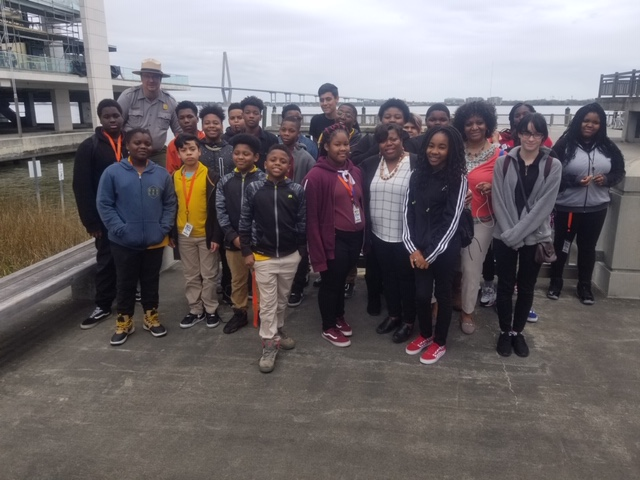 HRMS students traveled to Charleston on February 27, 2019, to attend a Gullah art unveiling program, featuring successful Gullah artist Sonja Griffin-Evans of Beaufort, SC. Students were afforded the opportunity to paint and fellowship with famed artist. The trip was sponsored by the ACT Mentoring Program and members of the Fall 2018 Pro-Team class. Click here to view photos of the field trip.